Although we’ve been putting the loan Thermomix through its paces making basil tagliatelle and ragu and a quick guacamole, we’ve also found it a great help for other kitchen tasks. 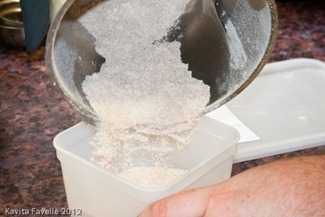 Last year, Pete grew his own wheat, and has been grinding it as and when he wanted to use some in home made bread. 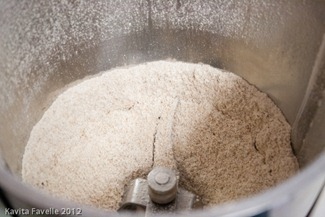 Grinding with a small electric burr grinder is effective but slow as one has to batch it through bit by bit. 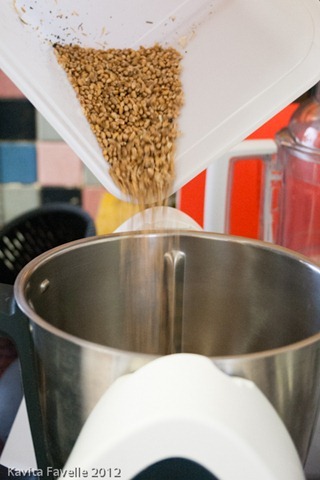 But tipping the rest into the Thermomix in one go and letting those sharp blades have free rein for just a few moments reduced the whole lot to a fine flour in no time at all. When I made avocado ice cream recently, we threw all the ingredients into the Thermomix rather than our usual jug blender. 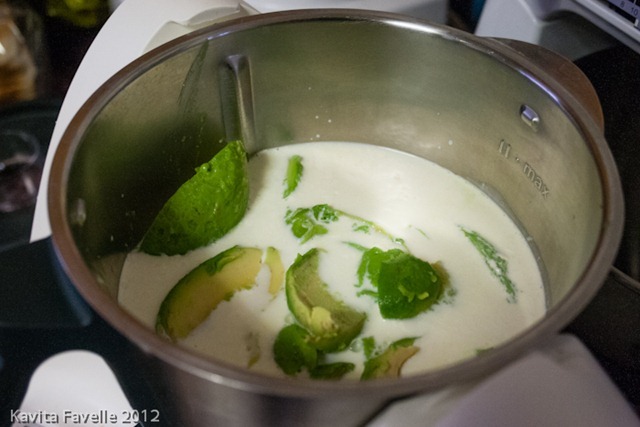 It did a very quick job blending a large volume of avocado flesh, sugar, cream, milk, lemon juice and vanilla extract which we then churned in our ice cream machine. We’ve also used it to finely grate parmesan and chop onions and garlic, all of which it does very quickly and chop and combine ingredients for a meatloaf, which it handled much better than the disintegrating Magimix. We didn’t manage to test the steamer functionality; we ran out of time, though we had the machine a while so all our fault. Kavey Eats received a loan machine courtesy of Thermomix. (This is not a sponsored post). 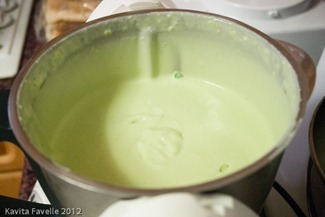 4 Comments to "Thermomix: Quick Tasks"
Yay, well done! I say this because I too find myself using Thermomix for so many ‘simple’ tasks each day, that it’s easy to take the machine for granted. The longer you have one in your kitchen, the more you realize how it can be used, and the more you end up using it. I remember in the first days and weeks that I had it, it was like a series of “ah-HA” moments all strung together. Finally the accumulated realizations turned into full blown appreciation and passion. Honestly, I still can’t believe I’m in love with a kitchen machine! Sadly the loan machine went back on Monday, so no more Thermomix. One day I may be able to buy one, hope so. 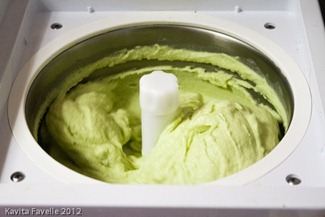 Maybe if we are both really good, Santa will bring both of us a Thermomix of our own!